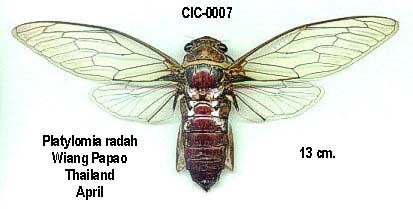 This is a running list of papers or documents published about cicadas in the year 2019. 12 so far (as of March). If I missed an article, email me at cicadamania@gmail.com. Evolutionary hysteresis and ratchets in the evolution of periodical cicadas. Author(s): Jaakko Toivonen and Lutz Fromhage. Link to paper. The effects of pulsed fertilization and chronic herbivory by periodical cicadas on tree growth. Author(s): Louie H. Yang, Richard Karban. Link to paper. Mitochondrial Genomics Reveals Shared Phylogeographic Patterns and Demographic History among Three Periodical Cicada Species Groups. Author(s): Zhenyong Du, Hiroki Hasegawa, John R Cooley, Chris Simon, Jin Yoshimura, Wanzhi Cai, Teiji Sota, Hu Li. Link to paper. Homoptera – Cicadas and Hoppers. Author(s): Ying Wang, Xiao Zhang, Tingying Zhang, Xue Liu, Chungkun Shih, Yunzhi Yao, Dong Ren. Link to paper. 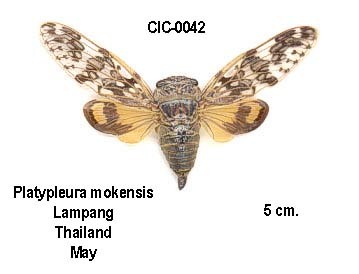 Mesodiphthera Tillyard, 1919, from the Late Triassic of Queensland, the oldest cicada (Hemiptera: Cicadomorpha: Cicadoidea: Tettigarctidae). Author(s): KEVIN J. LAMBKIN. Link to paper. Out of Africa? A dated molecular phylogeny of the cicada tribe Platypleurini Schmidt (Hemiptera: Cicadidae), with a focus on African genera and the genus Platypleura Amyot & Audinet‐Serville. Author(s): Benjamin W. Price, David C. Marshall, Nigel P. Barker, Chris Simon, Martin H. Villet. Link to paper. 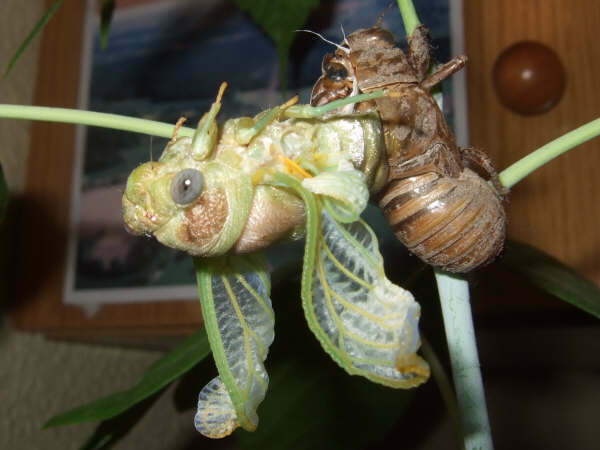 Ecophysiological responses to climate change in cicadas. Author(s): Minoru Moriyama , Hideharu Numata. Link to paper. Intra- and Interspecific Prey Theft in Cicada Killers (Hymenoptera: Apoidea: Sphecius) . Author(s): J R Coelho, C W Holliday, J M Hastings. Link to paper. 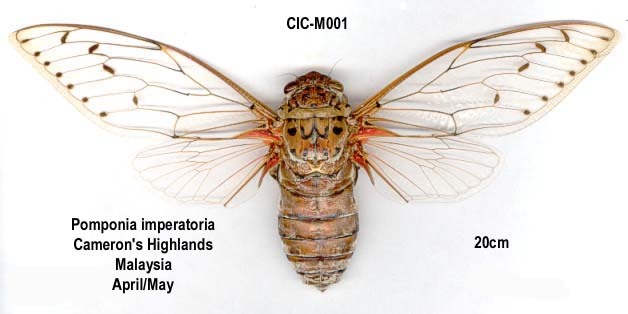 Phylogeny and biogeography of the leaf-winged cicadas (Hemiptera: Auchenorrhyncha: Cicadidae). Author(s): Tatiana Petersen Ruschel, Luiz Alexandre Campos. Link to paper. A Simple Model of Periodic Reproduction: Selection of Prime Periods. Author(s): Raul Abreu de Assis, Mazílio Coronel Malavazi. Link to paper. First hairy cicadas in mid-Cretaceous amber from northern Myanmar (Hemiptera: Cicadoidea: Tettigarctidae). Author(s): Yanzhe Fu, Chenyang Cai, Diying Huang. Link to paper. Are Cicadas in danger of extinction? In recent years there have been quite a few articles & papers about declines in insect populations (see the list at the end of this article). Chances are you’ve seen one of these articles appear on Twitter or Facebook, or heard about it on TV, radio, podcasts, etc. I cannot vouch for the information in these articles, and I definitely cannot speak about topics like climate change or pesticides, as I lack the knowledge. I can talk about other pressures on cicada populations, and so I will. 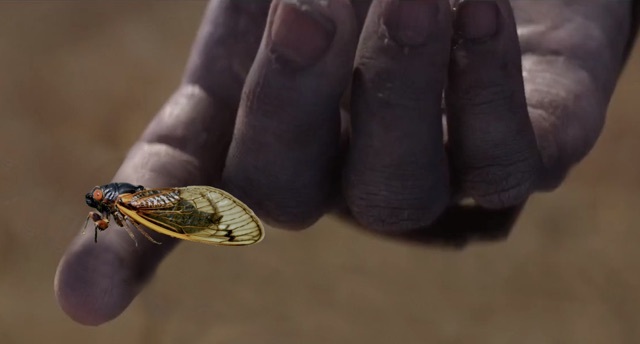 Image: In the film Avengers: Infinity War, Thanos decimates half of all life in the Universe, including cicadas. In real life, depending on where you live, it’s likely that more than half of the cicadas have been eliminated. 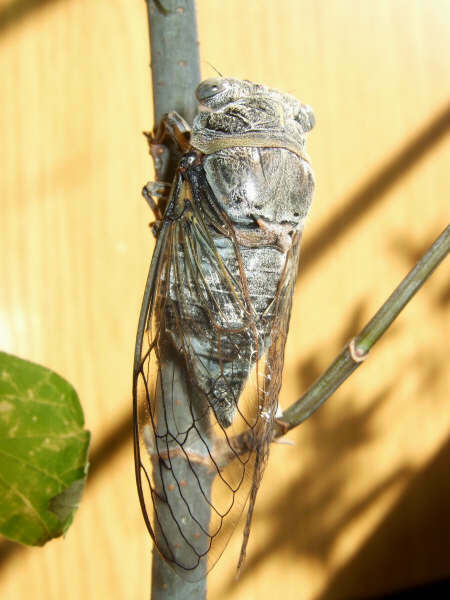 Most cicadas are tree parasites. Reduce the number of trees, and you reduce the number of cicadas. It is a simple equation. As you travel around your town, imagine all the places that there were once trees, and then imagine all the cicadas lost along with those trees. Human beings (Homo sapiens) require a lot of space. We need space for our homes, schools, government buildings, the places we work, the places we play, places to grow our food & lumber, lands to mine for minerals, and the roads, rails, and airports that tie it all together. A lot of spaces that are now claimed by humanity were once home to cicadas (and other creatures). The more we humans expand, the more cicada habitat contracts, and so the number of cicadas will naturally decline. Invasive species — organisms introduced into a non-native habitat — pose a threat to cicadas by destroying cicada habitat. These include insects, worms, plants, or any other life form that weakens or kills trees, or otherwise disrupts cicada habitat. This USDA website is a good place to start to familiarize yourself with invasives. One invasive species, in particular, that has without a doubt reduced cicada habitat in North America is the Emerald Ash Borer (EAB). EABs have killed millions of ash trees in North America. Each tree lost to EABs can represent the loss of thousands of cicadas, particularly Magicicada periodical cicadas. The Spotted Lanternfly, native to Asia, is currently spreading in the eastern United States. It has become quite a menace in Pennsylvania, where it destroys trees and other plans. Most folks are concerned about its impact on agriculture, but I’m more concerned about its impact on ordinary trees outside of farms, where cicadas live. I’m also concerned that measures taken to fight the Spotted Lanternfly, might harm cicadas since they share the same suborder (Auchenorrhyncha) and similar biology. One species of cicada and two broods of periodical cicadas went extinct over the past 150 years. Tibicen bermudiana went extinct in the 1950s due to a cedar blight. Brood XI Magicicadas were last recorded in 1954 in near the Ashford/Willington town line in eastern Connecticut. Brood XXI Magicicadas were last recorded in in 1870, in the Apalachicola River Valley in Florida. Given that new cicadas are discovered or described every year, it’s possible that other species of cicadas went extinct in recent times before there was time to discover or study them. The next brood to go extinct is likely Brood VII. It has contracted over the years, and will likely only survive thanks to the Onondaga Nation reservation. 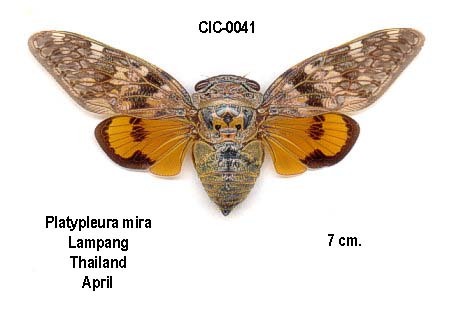 Read the paper THE HISTORICAL CONTRACTION OF PERIODICAL CICADA BROOD VII (HEMIPTERA: CICADIDAE: MAGICICADA). by JOHN R. COOLEY, DAVID C. MARSHALL AND CHRIS SIMON. (J. New York Entomol. Soc. 112(2–3):198–204, 2004.) for more information. Educate yourself about invasive species. Learn about the invasives currently impacting our local area. Discover how you can prevent their further spread, and prevent the introduction of new invasive species. Don’t participate in the destruction of cicada habitat. Stack vertically, not horizontally. Repair what you already have, reuse, recycle and buy an old home. Get your books from a library. Be fruitful & multiply — but don’t destroy more forests in the process. Be a citizen scientist and get involved in projects to map cicadas and other insects, so we can truly count their numbers and measure their declines or gains. Folks can report Magicicada, when they emerge, to Magicicada.org. iNaturalist is an amazing website to idenitify and report insects in general. I’ll likely expand and edit this article over time as I get more information on this topic. Feel free to pass only any information via the comments section of the article. Is the Insect Apocalypse Really Upon Us?. Ed Yong. The Atlantic. 2/19/2019. The monarch butterfly population in California has plummeted 86% in one year. Doug Criss. CNN. 1/7/2019. Plummeting insect numbers ‘threaten collapse of nature’. Damian Carrington. The Guardian. 2/10/2019. The Insect Apocalypse Is Here. Brooke Jarvis. New York Times. 11/27/2018. Climate-driven declines in arthropod abundance restructure a rainforest food web. Bradford C. Lister and Andres Garcia. PNAS. 10/15/2018. More than 75 percent decline over 27 years in total flying insect biomass in protected areas. Caspar A. Hallmann, Martin Sorg, Eelke Jongejans, Henk Siepel, Nick Hofland, Heinz Schwan, Werner Stenmans, Andreas Müller, Hubert Sumser, Thomas Hörren, Dave Goulson, Hans de Kroon. PLOS ONE. 10/18/2017. What’s Causing the Sharp Decline in Insects, and Why It Matters. CHRISTIAN SCHWÄGERL. YaleEnvironment360. 7/6/2016.